Mike Ball – the loudest name in Australian Diving! Spoilsport offers exciting 3, 4 and 7 night expeditions to the Ribbon Reefs, Cod Hole and Osprey Reef in the Coral Sea from their base in Cairns. 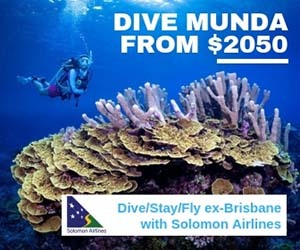 The short itineraries include a scenic flight between Cairns and Lizard Island which give you unforgettable views of the Great Barrier Reef. 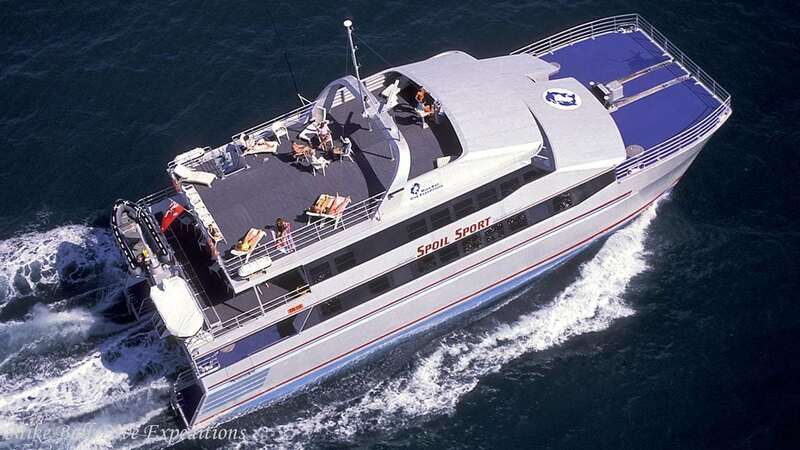 Spoilsport is certainly one the most comfortable luxury dive vessels in Australia. Spoilsport cruises to the Ribbon Reefs and the Osprey Reef and includes the best dive sites in Australia on their schedules. 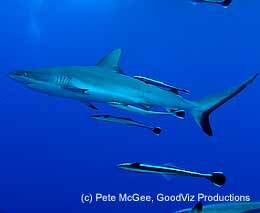 Sharks at Osprey and the fantastic diversity of the marine life on the Ribbon Reefs will not fail to excite you. The Spoilsport has an excellent reputation among Australian dive cruises and she has earned it. Food, accommodation and dive deck organisation satisfies even the most demanding divers. Spoilsport takes a maximum of 29 divers on board. 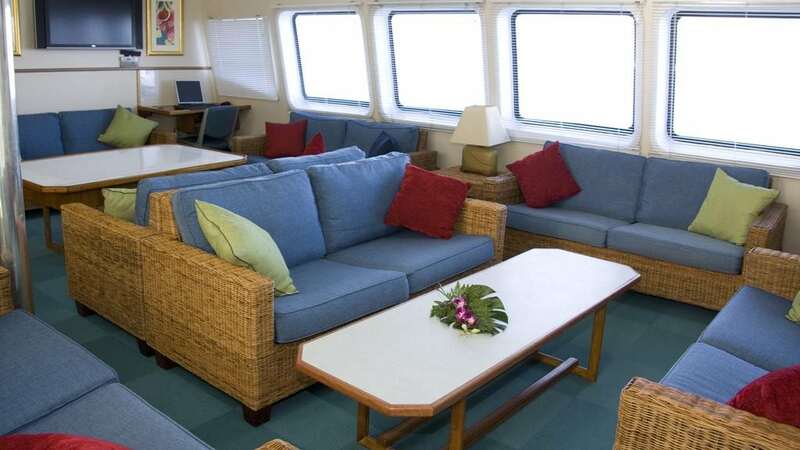 There is plenty of space for everybody on this spacious three-story luxury catamaran. 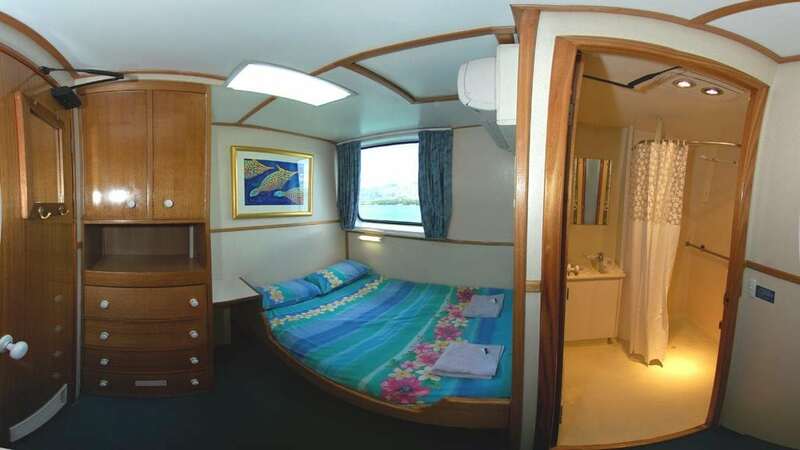 Spoilsport has cabins in different price categories in either twin or double configuration. The best cabins are the “Premium” cabins with double bed and private en suites. 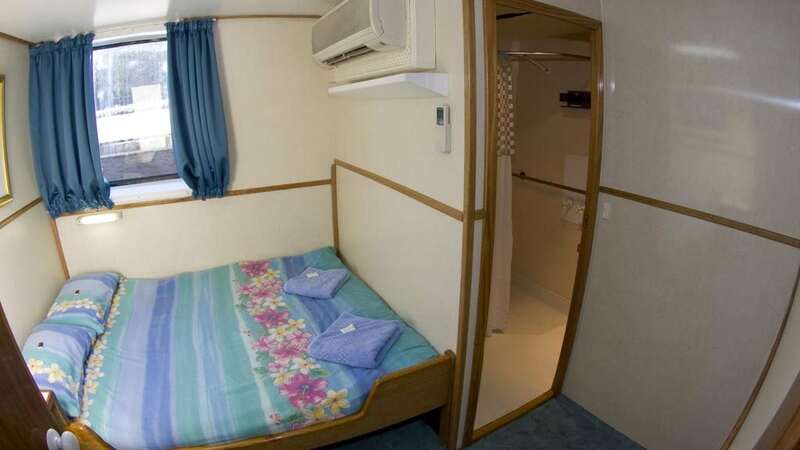 There are large “Standard” twin cabins with big windows and their own private bathrooms, and “Club” twin cabins (over and under bunk beds) with private bathrooms and the “Budget” cabin with shared bathroom facilities. PREMIUM CABIN: 4 cabins with double bed, private bathroom and a window. 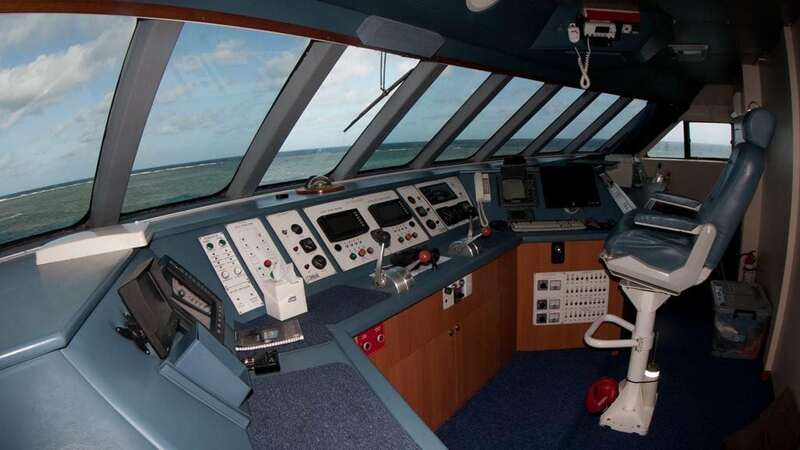 They are the nicest and most spacious cabins on board. They are the only cabins with double beds. 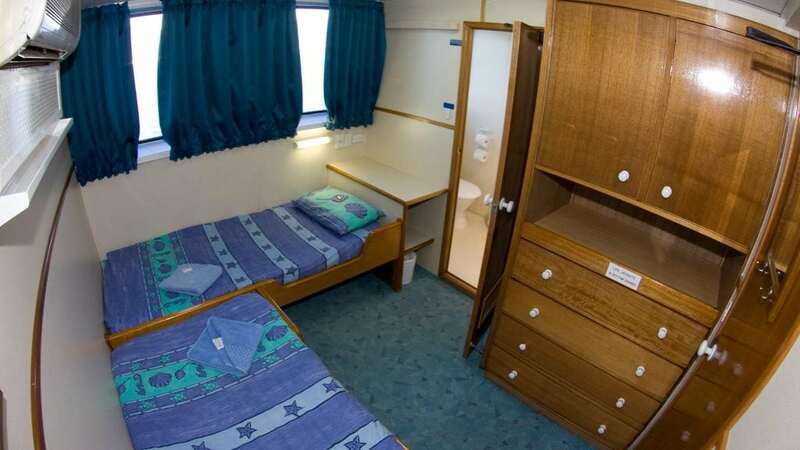 STANDARD CABIN: 4 twin bedded cabins (one bed on each wall, L-shaped set up) with private bathroom and large windows. 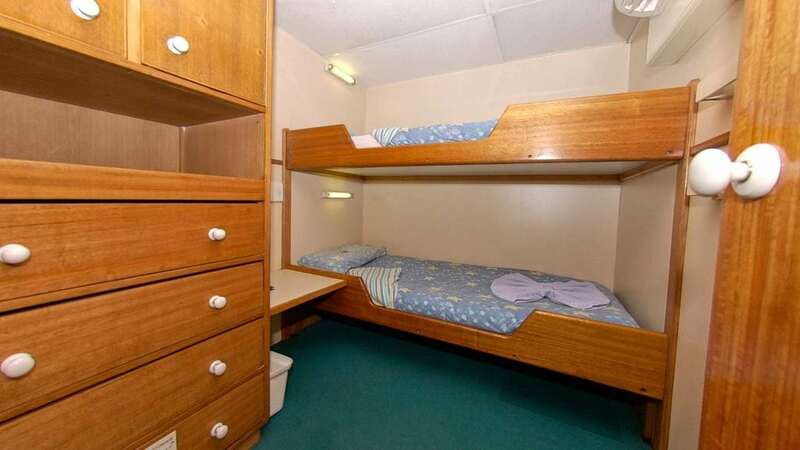 CLUB CABIN: 4 twin cabins (with over and under bunk beds) and no window. Each cabin has its own private bathroom. BUDGET CABIN: 2 twin cabins (with over and under bunk beds), no window and shared bathroom facilities. Due to the remoteness of the trips, WiFi is not available on board. Mike Ball Dive Expeditions has made an informed decision to give you the time of your life. No distractions; no work emails; no Facebook. Just enjoy the deep blue of the ocean. 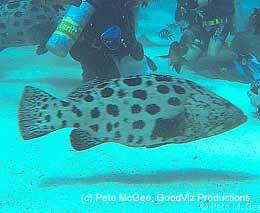 The dives are on the Great Barrier Reef, Far North Queensland, Australia. Spoilsport’s home port is Cairns, but some of the itineraries include a flight, so where you start and end your trip will depend on the package you select. Check out the itineraries and availabilities below. Spoilsport offers Nitrox diving. Nitrox EAN 32 is available at extra cost. SDI Easy Nitrox and PADI Nitrox courses are offered on board at extra cost. 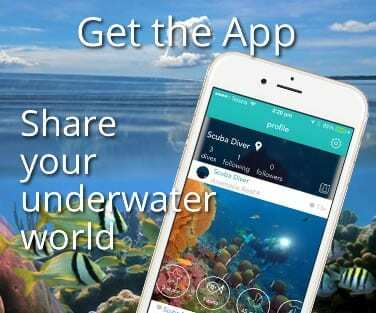 Non-divers/Snorkelers are welcome on board and receive a 10% discount on excursion fee. Nautilus Lifeline – All divers are required to use a Nautilus Lifeline GPS. Dive Tanks – There are 42 tanks on-board 50% Air and 50% Nitrox; two thirds average 10.3L (80 cuft) and one third average 11.3L (88 cuft). Four 15L steel tanks are available for hire. Tank Valves – Air and Nitrox cylinder valves are compatible with US yoke regulators (UK A clamp). DIN Fitting Regulators – There are 16 cylinder valves with a removable plug which will accommodate European DIN style regulators. 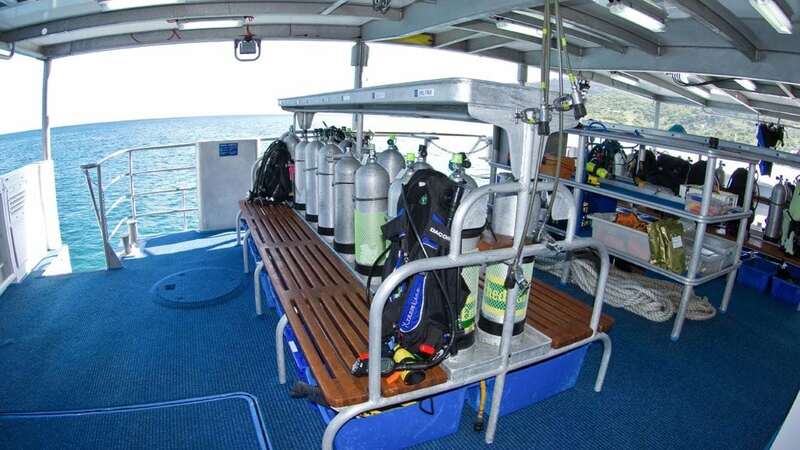 The Spoilsport runs a regular itinerary of 7 Night / 26 Dives Coral Sea Safari trips, starting from Cairns on a Thursday evening. 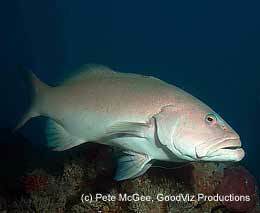 But these can also be joined (or left) half-way via a low-level flight to and from Lizard Island, as a 4 Night Coral Sea trip (Thursday to Monday), and a 3 Night Cod Hole trip (Monday the Thursday). These regular itineraries are interspersed by Special itineraries and expeditions focussed for example on Minke Whales, Sharks or Photography. Check out the itineraries and availabilities below. 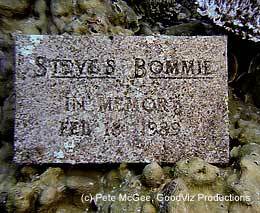 For getting the best dive adventures in Australia, Spoilsport is the ship to choose. 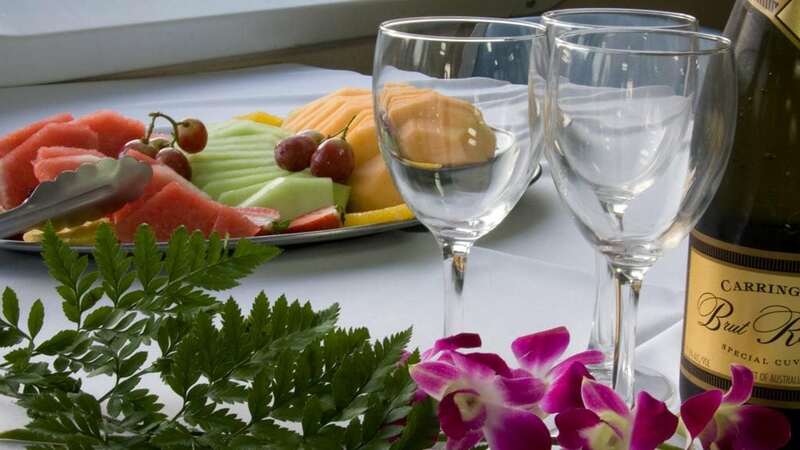 Spoilsport offers all the comforts one can wish for and the crew and service are outstanding.